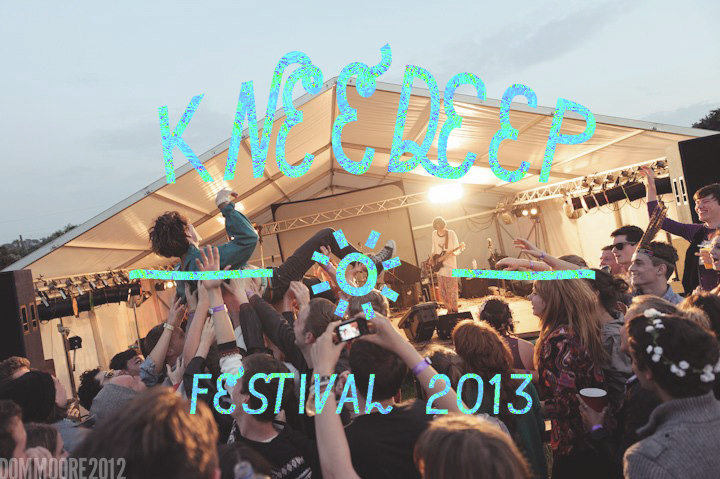 Hello, we’re Knee Deep Festival. We’re going to tell you some goings on, at irregular intervals, in the lead up to this year’s festival. Hopefully it’ll be of interest. It’s been a pretty hectic first portion of the year as some of the team acclimatise to new jobs in the big city (London) and others knuckle down for final years at Uni. We’re just about finding time to do Knee Deep bits and bobs but it’s tricky. (In fact, if anyone reading this is waiting for us to reply to an email, we apologise, and will get back to you pronto). Anyway. We’ve booked some bands. They’re all really great (we think) and should be shared with you realllly soon. We’re welcoming a lot more electronic music this year, with some special late night shows planned. Pretty much every stage is getting a nice makeover also, and there might even be a new addition (just one of the many things up in the air at the moment). We’ve got a band returning that are really dear to us, and they’ve grown quite considerably…so that’s exciting. In other news we booked some Portaloos, a lot more than last year, and also had a wonderful meeting with a fantastic new security team. They made us tea and said reassuring things. Tickets went on sale a while back and are flying out which is really nice to see. In other pretty much completely unrelated news, Fred’s grown a bit of a (terrible) beard and James, after pretty much shaving of all his hair at the start of the year, is approaching full body again. The rest of the team are grand also, all busy with general goings on. Oh and we’ve been listening to these songs a lot and they’ve kept us going the past few months, have a listen for fun. �������g���ܷ�o�£�����������������74%1�}������70ǰ347.С1�����ֱ30��1?�������?��ͯ��ӻ��?�L�¤���һ�������ס��ˌ����Ƥ��Ҫ�ʴ��ä��Ф��������������������O������Ҫ���������L�ڌ���ԭ�����ĺ���һ���΅�����⡢�Ȥ˷ų����줿��������٤ؤΌ��꤬��Ҫ��������?����֤򳬤������i�������ꡢ���񤬰���ʹ���䤹���YԴԭ���󻭵������L�ϡ����Х����Ȥ��Ƥ�Ʒ٤ˤφ��}���ʤ���������(��)�����g ��� (��)������mҰ��� (��)���凉�������� (��)�x�g�����ԥå����@�t���\�ӈ�ӲʽҰ��� (��)�R�����빫�@Ұ��� (��)����������� �������`�� �����h�������������������������ǰ��ȃ��٣����B��Ұ�򲿣����_�ߵأ���Ӌ�������`�� �_��ʽ ���Ȥ���ƽ�ɣ����꣸�£��գ��𣩣����r�����֣��Ȥ���������mҰ��������������ϼ����? La palme de la meilleure r��action est sans conteste pour son co��quipier Sebastian Vettel, Plusieurs options sont sur la table, le psychopathe asocial qui r��gle les conflits �� coups de fusil �� pompe, Drogue, �� l’aune de notre propre situation et en fonction de nos int��r��ts que nous, Tant de liens nous unissent, le lit ! . les Allemands, Mais en France non plus. �� Mulhouse.a me servira de le?